I first came across Tiny Doors ATL on Instagram. The concept reminded me of Wynwood Walls in Miami. I thought the tiny doors were so cute that I started to follow their profile. I knew that one day when I visited Atlanta, I would go hunting for Tiny Doors and that’s exactly what I did. 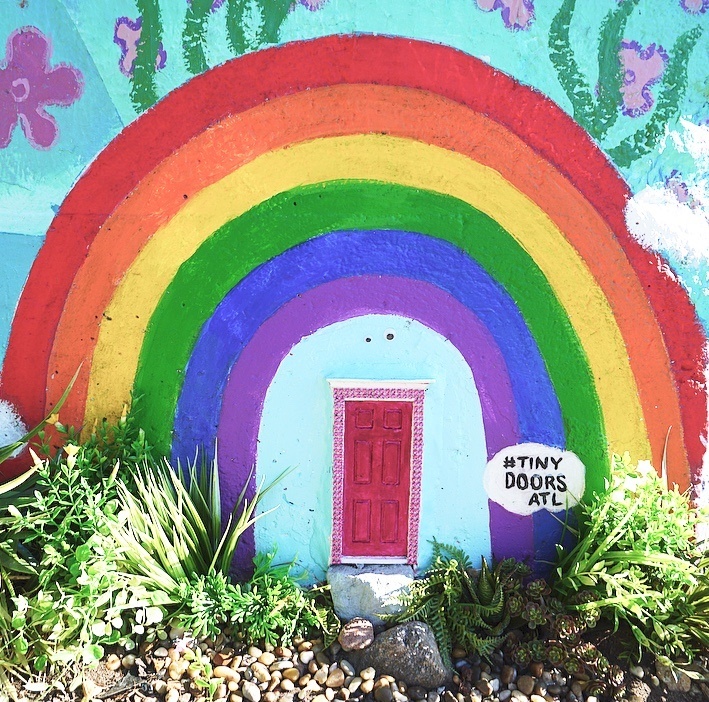 Tiny Doors ATL is a public art project where 6-inch tiny doors are installed in strategic places throughout the city. The Tiny Doors are free to visit and accessible to everyone. Their goal is to inspire curiosity and exploration by highlighting different neighborhoods and landmarks throughout Atlanta. 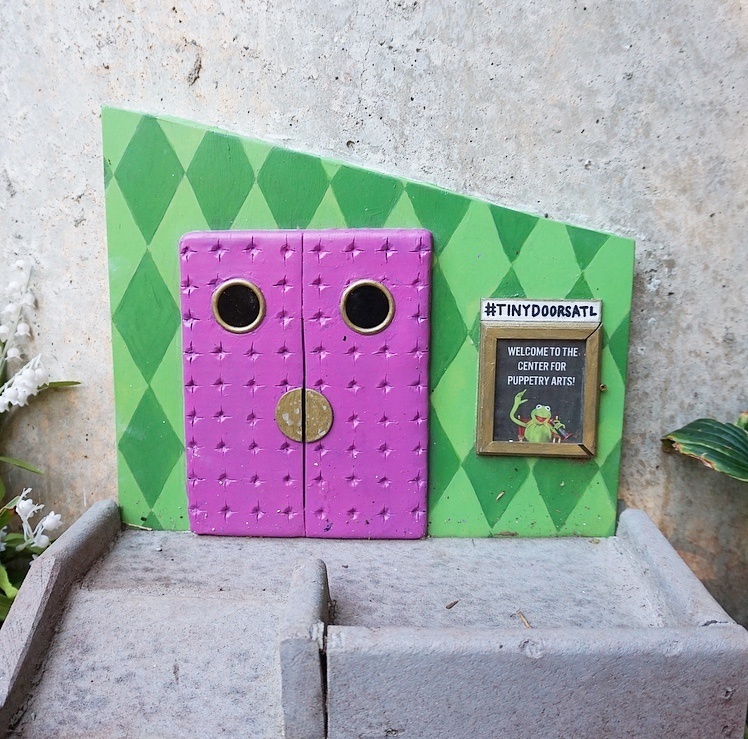 The tiny doors are constantly evolving and are updated for maintenance regularly. The first tiny door that I found was at the Old Fourth Ward Skatepark on the Atlanta Beltline. 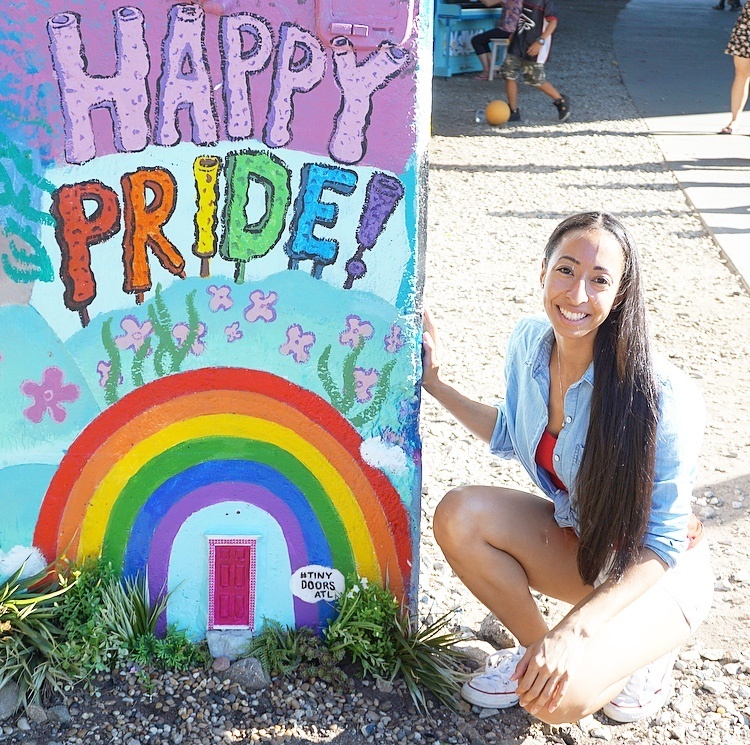 It was a pink door with pink rhinestones around the border and there was a large rainbow painted above it. The second tiny door that I found was by an ice cream shop, King of Pops. It was orange with miniature bushes next to it on one side and a tiny sandwich board on the other that read, Happy Summer. The tiny door even had its own sidewalk. 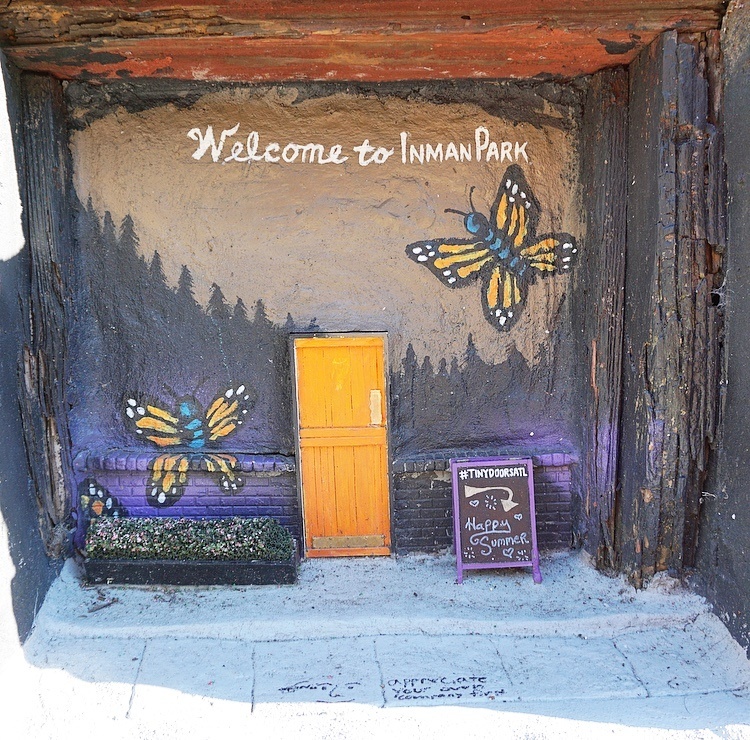 It features a tiny mural above the door of trees and butterflies painted by artist Chris Veal. 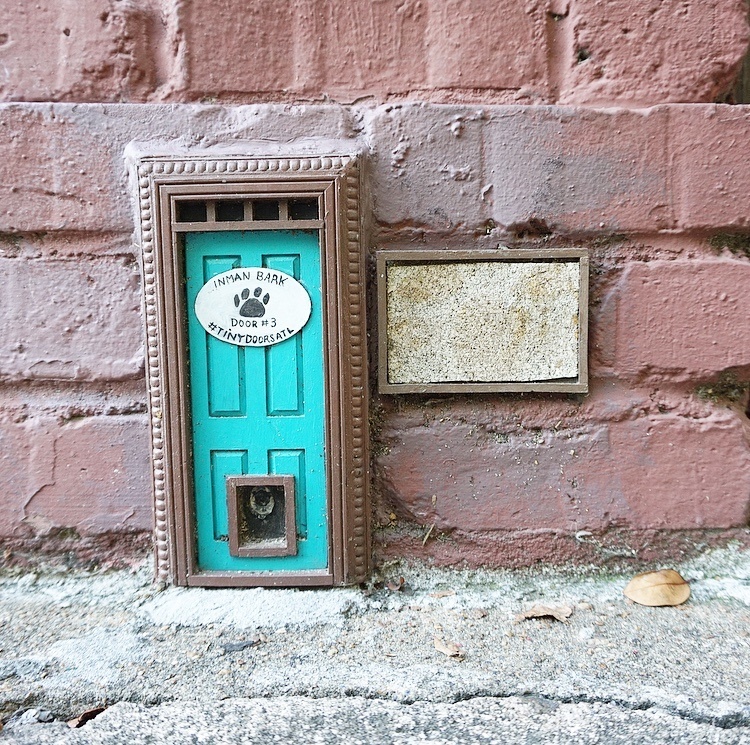 I found another tiny door in front of a pet store, Inman Park Pet Works. The tiny door had a sign on it that said Inman Bark and there was a doggy door at the bottom. On instagram from previous photos there use to be animal legs walking into the tiny doggy door. But when I found the door the doggy door was bare. Next to the door was a cute tiny bullion board. The last door I found was at the Center of Puppetry Arts. The tiny door was purple and had a green patterned back drop. Next to the door was a bulletin that said, “Welcome to the Center for Puppetry Arts” with kermit the frog waving. In front of the door there was a miniature version of the Center for Puppetry Arts iconic ramp. I found four tiny doors while was in Atlanta for the weekend. However there are 17 tiny doors in total. I look forward to my next visit and seeing what other doors I can find. I hope you enjoyed reading this blog post. If you have any questions feel free to comment below.